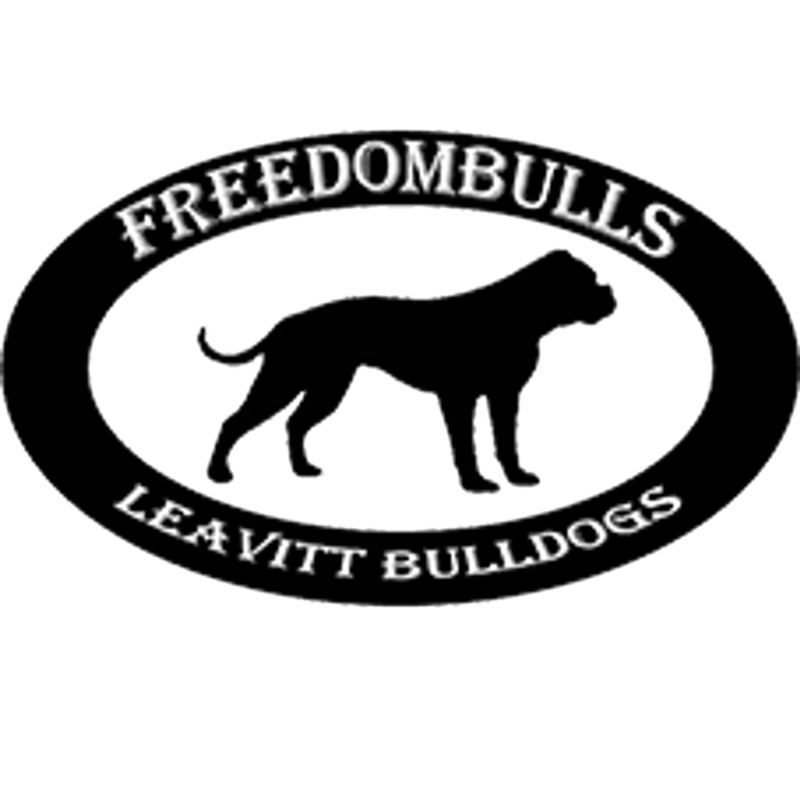 We are Freedombulls and together with our Leavitt Bulldogs we live in Amsterdam. Our passion is with all Bulldog types but in particular the Leavitt Bulldog. The Leavitt Bulldog is the oldest and most original Old English Bulldog. We now call our dogs Leavitt Bulldogs in an effort to differentiate them from the larger body of unrelated dogs called Olde English Bulldogge today. The Leavitt Bulldog is one the most healthiest Bulldogs compared with other Bulldog breeds who suffers from inherited diseases. The Leavitt bulldog is known for his ability to work, please and play and is fantastic with kids. You can easily take a Leavitt Bulldog for a long walk or go rollerblading or other athletics sports. They never will run like hounds but they will come l darn close. That why you will find us on a daily basis running around the woods of Amsterdam. In the woods we will socialite , train and play our Leavitt Bulldogs. Because we became very fond of this breed we joined the Leavitt Bulldog Association . This is the breeds club who still after 40 years is run by David Leavitt himself. He is still on a daily basis looking to improve the breed. David Leavitt created in 1970, the Old English Bulldog(OEB) that was the name he had invented initially for his creation today Leavitt Bulldog. Our Leavitt bulldogs are ideal for things like obedience and flyball but also for many other sports. They are also suitable as the ideal house dog and family pet. 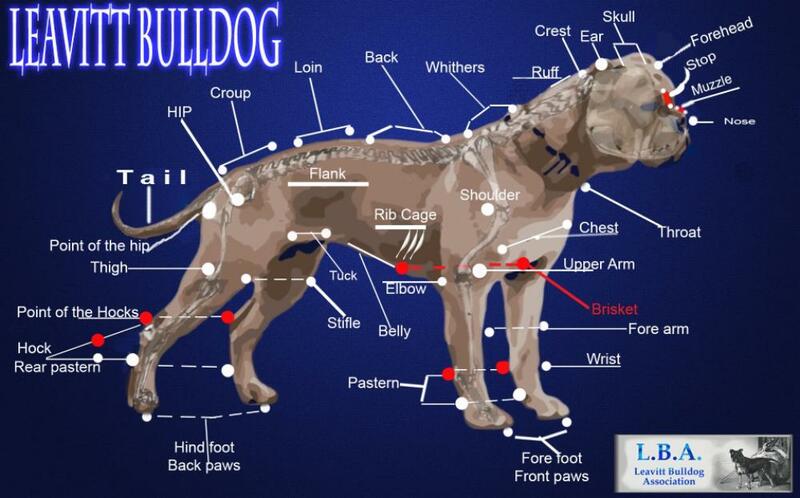 We were one of the first to screen our dogs for hips dysplasia, elbow dysplasia and spondyloses (spine). For a longtime it was very common to breed two dogs whiteout looking for inherited diseases . We will never breed with dogs who show or have showed inherited diseases . Please know!!!! That they living animals and sometimes nature can surprise us. We will do everything to rule out problems but sometimes it nature will take its course. We screen our dogs at 18 months of age and females will be bred for the first time when they are 2 years old. We X-ray the hips (HD), elbows (ED) and back for (spondylosis). Only after approval by the LBA or rather the approval of Dr. Michael C. Muhlbauer we breed our Leavitt Bulldogs. Dr. Michael C. Muhlbauer is a member of the AVMA, ACVR, MVMA, RSNA, GSLVMA (former chairman), and Chairman of the MVMA Animal Welfare Committee. We have recently, to continue to ensure healthy bloodlines imported some dogs from America. The LBAE (Leavitt Bulldog Association Europe) is the only European club that is recognized by David Leavitt.